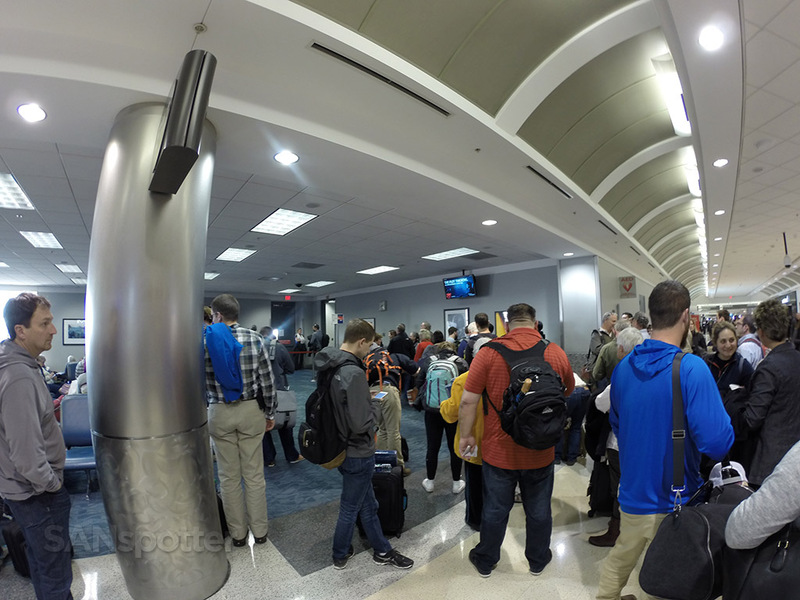 I’m normally pretty excited about flying business class, but this had been an incredibly long and frustrating day so far and my mood was nowhere near enthusiastic as I was standing in line to board the plane. 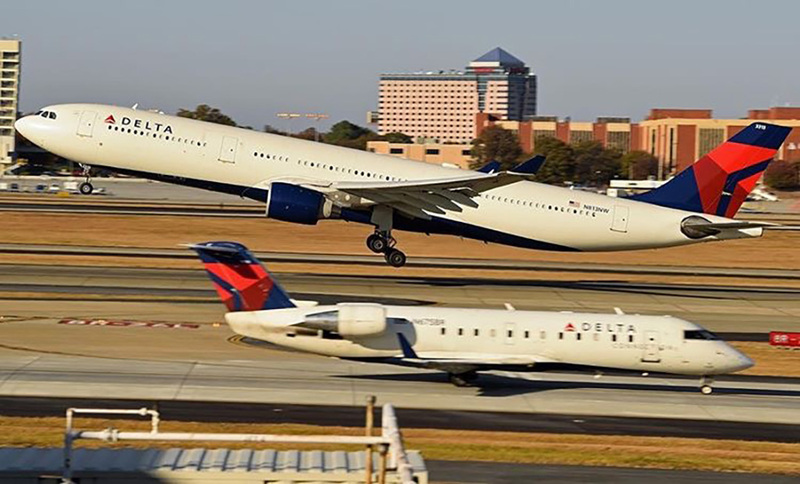 I wasn’t upset with Delta or anything like that – as a matter of fact, I thought they handled the situation very well and I appreciated the fact that they protected my Delta One seat on this flight to Seattle when so many others had been involuntarily downgraded. 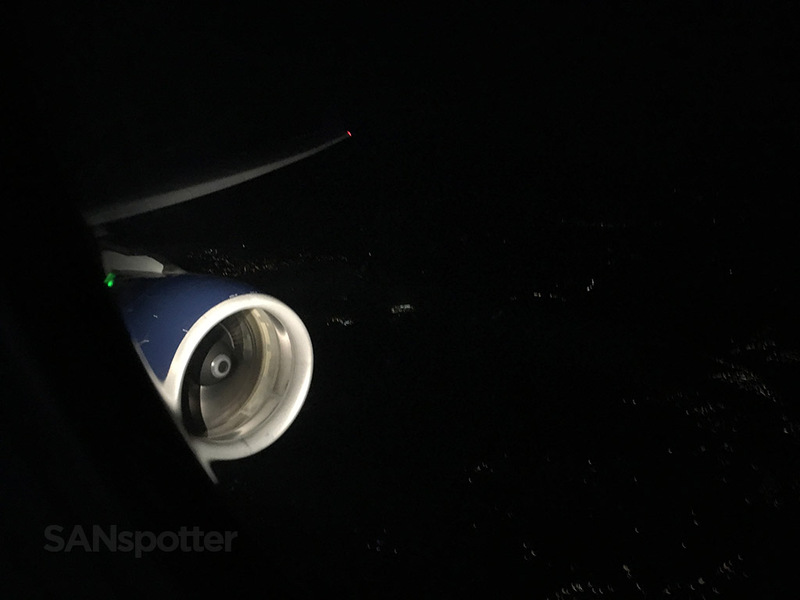 The problem was that the little sleep I got the night before (due to the excitement of today’s 747 adventure) combined with the delays and downgrade to an A330 had caught up to me and it was almost to the point of not even being fun anymore. 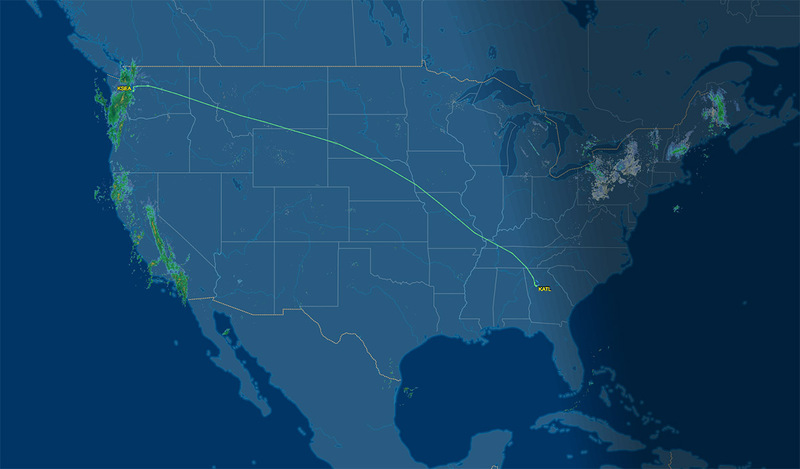 Most of the day had already passed, I was still in Atlanta, and I had a heck of a lot of flying left to do to get me home to San Diego that night. 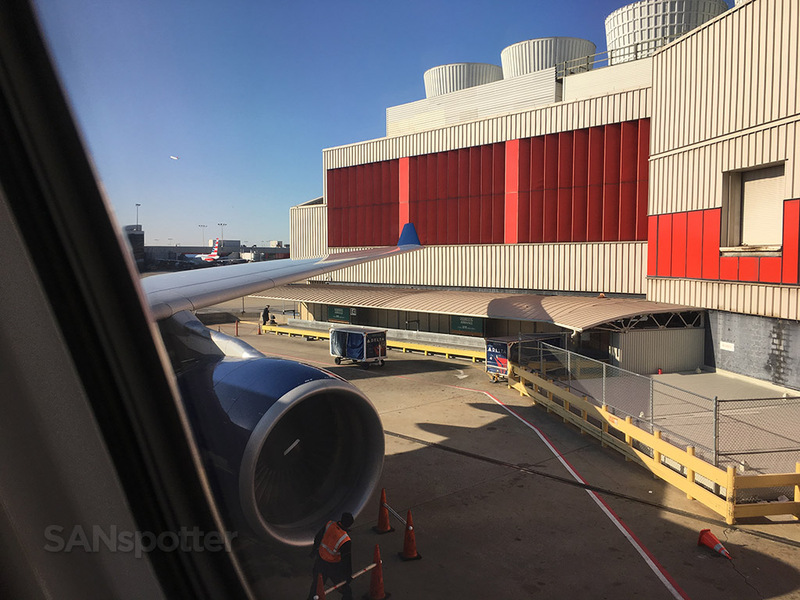 But at least I had a seat in Delta One, and I knew that I’d be able to get some decent sleep on this flight – so that was enough to keep me going as I presented my boarding pass to the gate agent. Let’s do this. 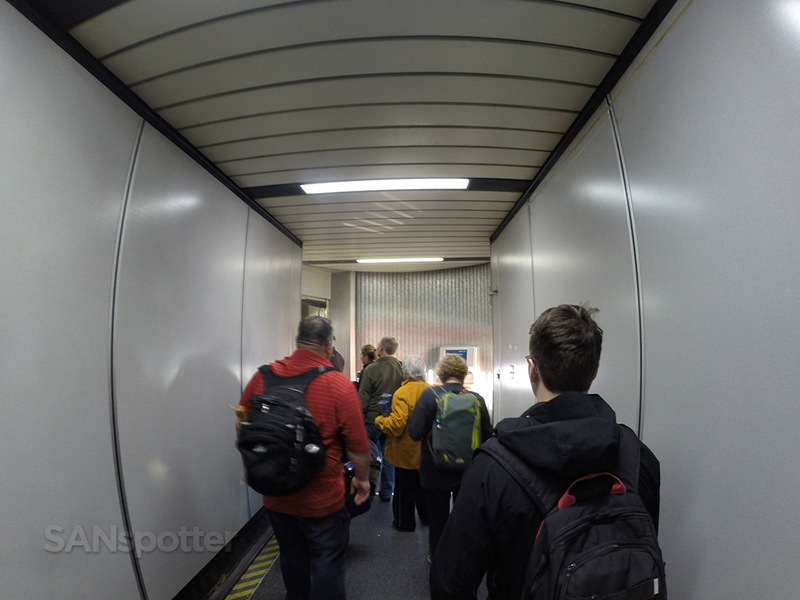 As always, I’ll start the trip report with the video I shot. The pics and words will follow. 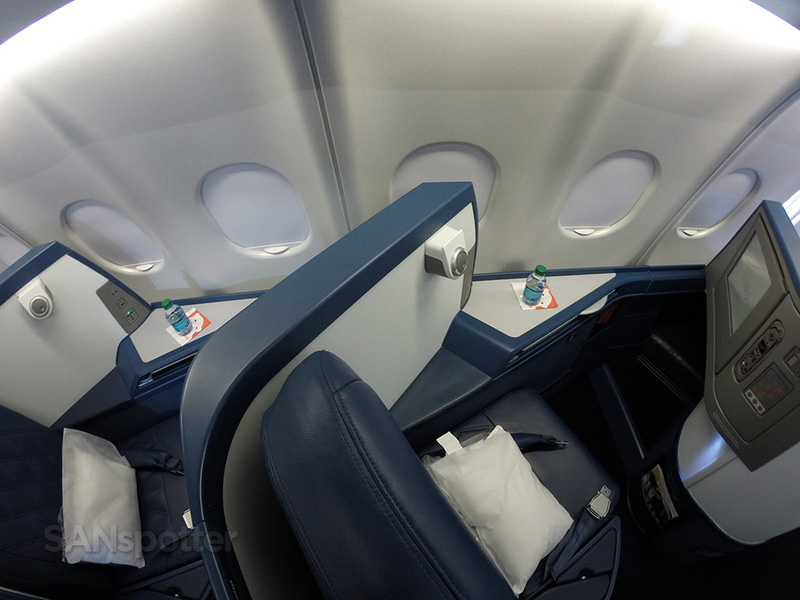 Seat map of this Delta Air Lines A330-300 (courtesy of seatguru.com) showing my seat for this flight. That ain’t no 747. Yep, the journey to SEA today has been downguaged to an A330-300. 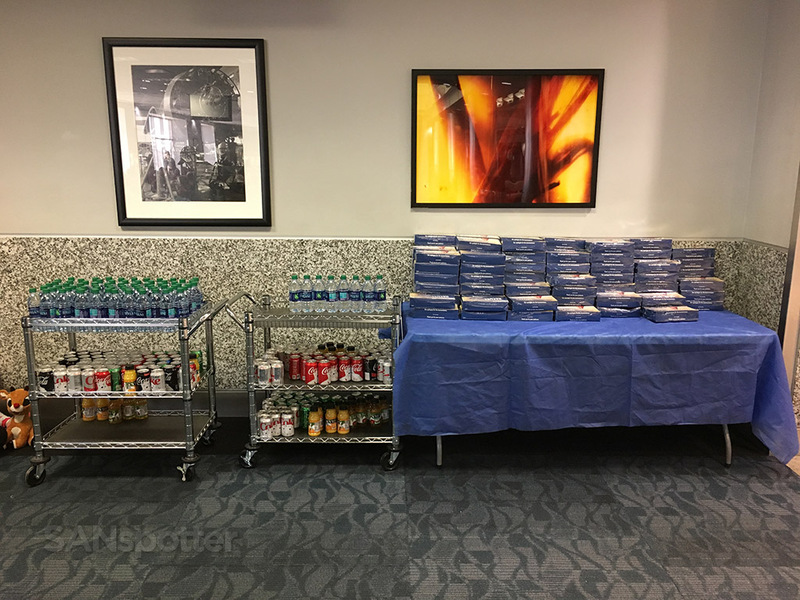 Complimentary snacks and beverages here at the gate area. 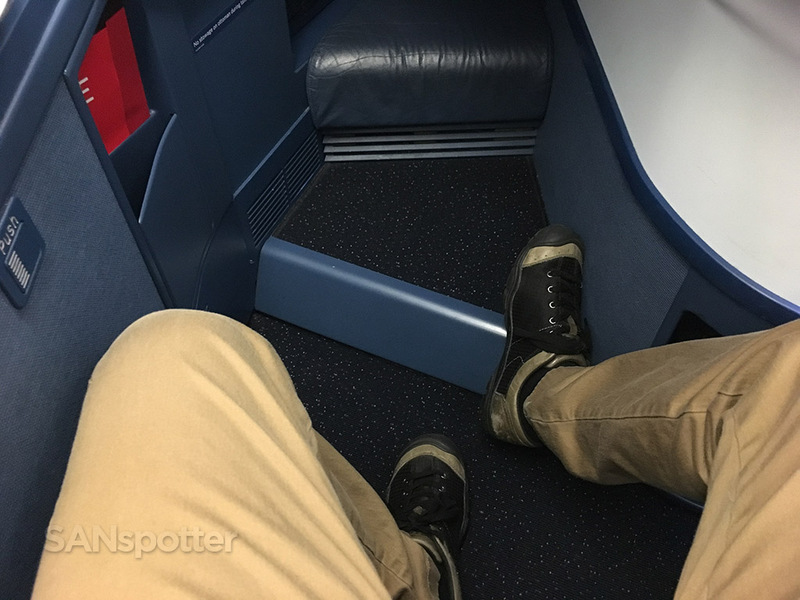 Nice little gesture on Delta’s part, but not much can make up for what ended up being a 5 hour delay (total) and the cancellation of the 747. 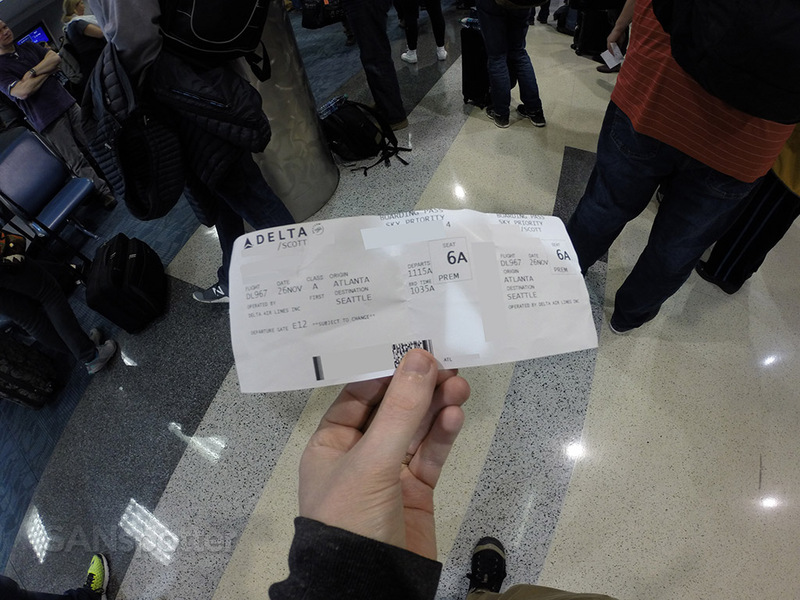 Standing in line to see if I was one of the lucky ones to keep a seat in Delta One. 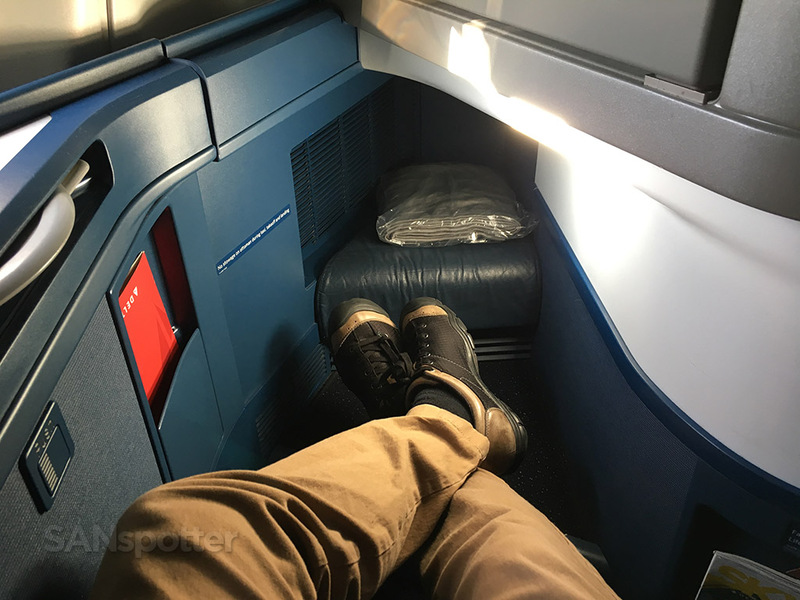 Having learned that I would indeed be sitting in the Delta One cabin, I was able to relax a bit as I waited for the flight to start boarding. 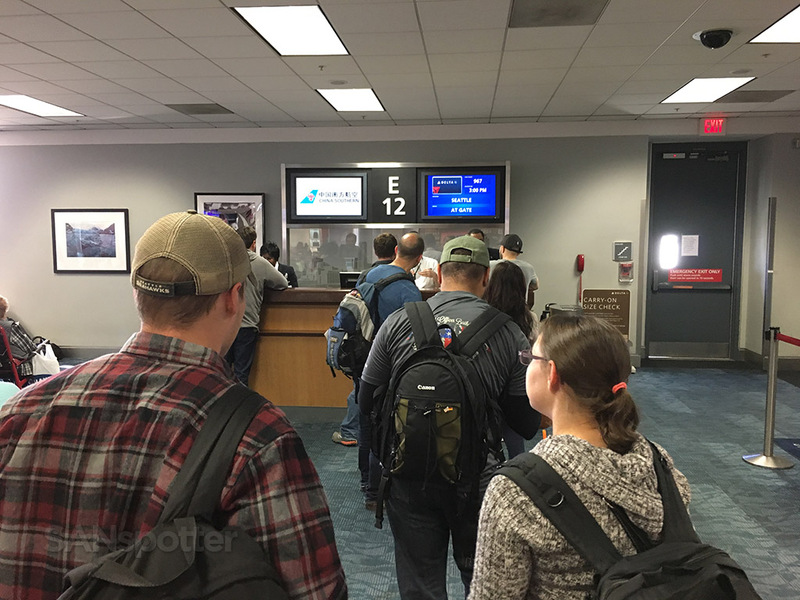 It didn’t take long though – boarding is just getting underway here at E12. This wrinkled and tattered-looking boarding pass represented the state of my mind quite well actually. 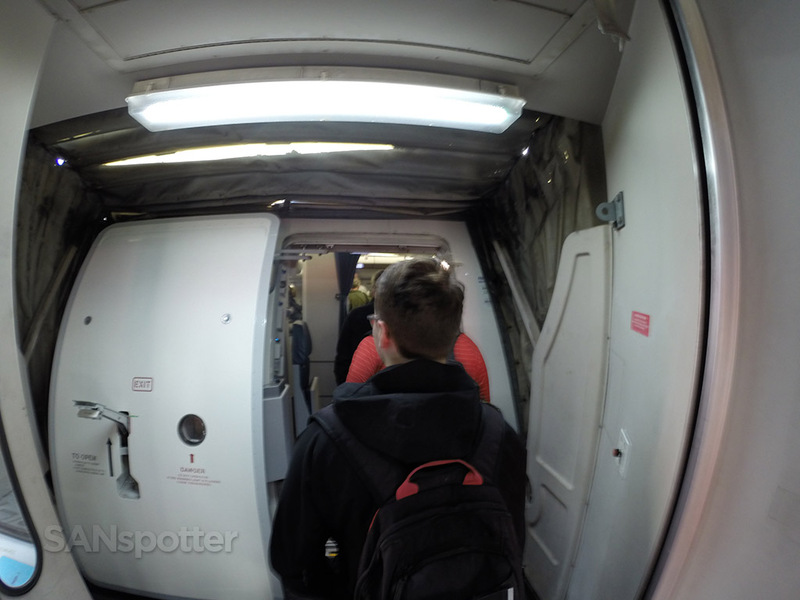 Walking down the jet bridge and about to step aboard my first ever Delta A330! 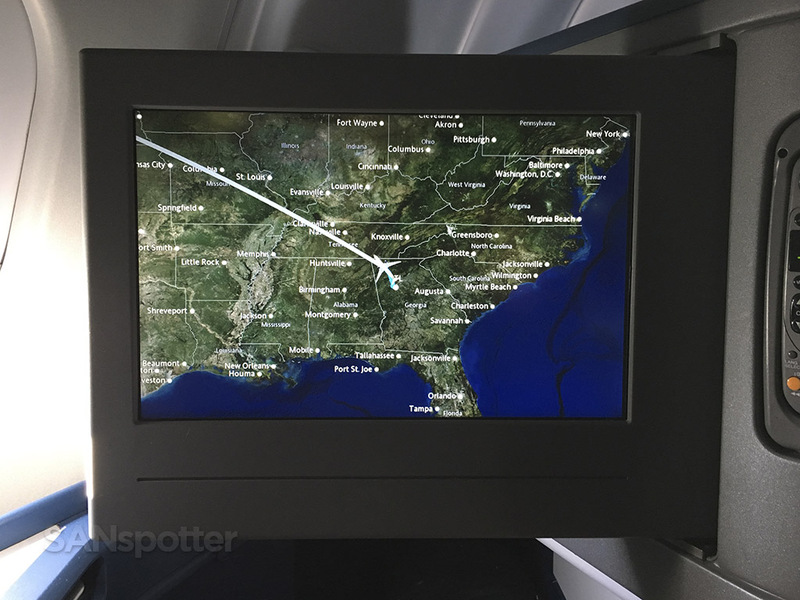 I assume this kiosk is for printing gate check tags – otherwise it looks like an awful fancy way of displaying the flight number! 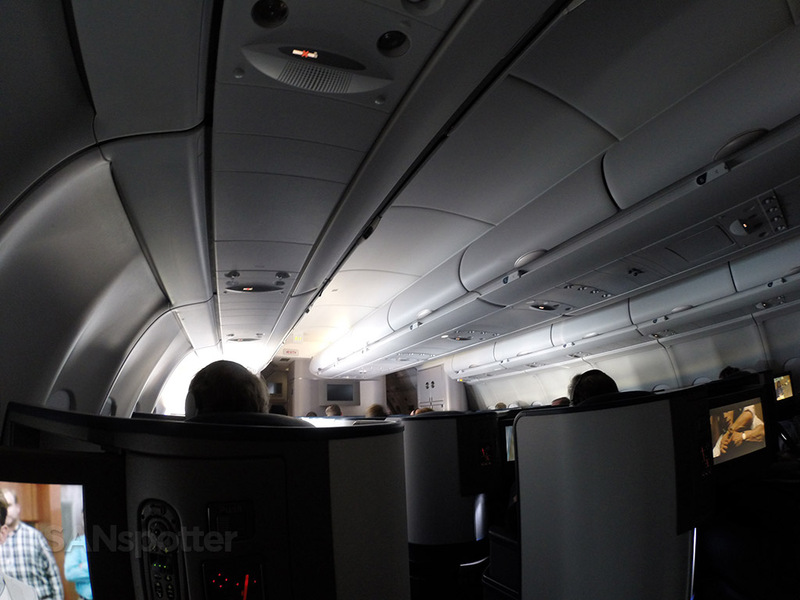 This might not be a 747, but I always enjoy stepping aboard a new-to-me airline product. 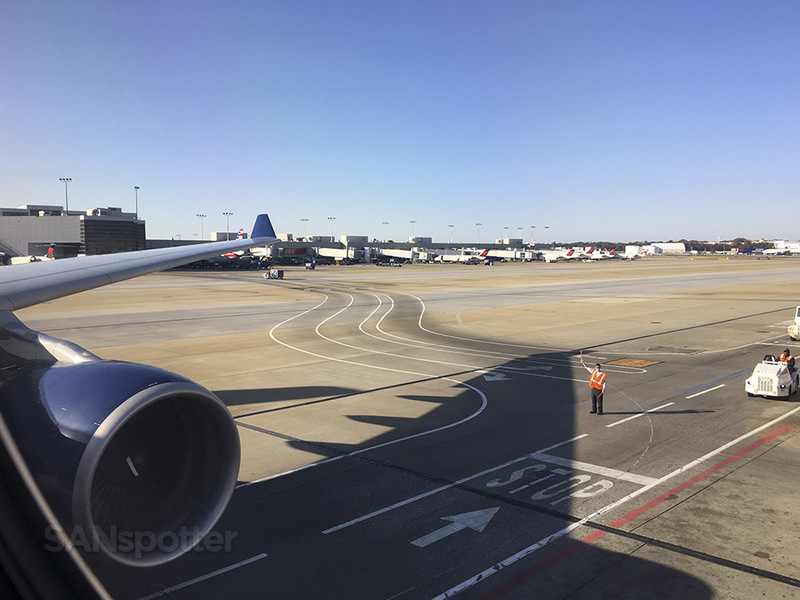 Once onboard, I immediately noticed how consistent this Delta One configuration matched that of the 747 I just flew in on from Detroit. Everything was nearly identical, and for some reason or another I guess I was expecting something just a little bit different. 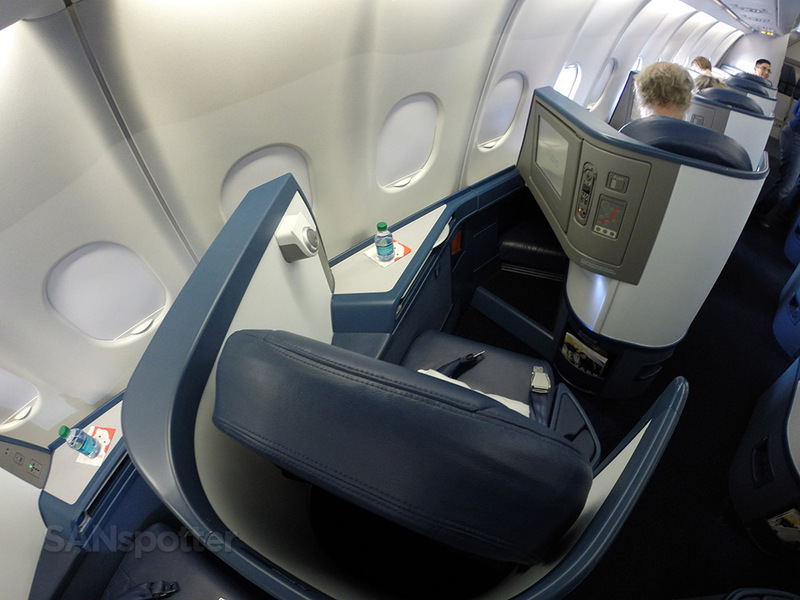 After all, the Delta One product on the 767-300 is a completely different layout with different seats and I would have thought that differences in aircraft type would necessitate some differences in the seat style and configuration. 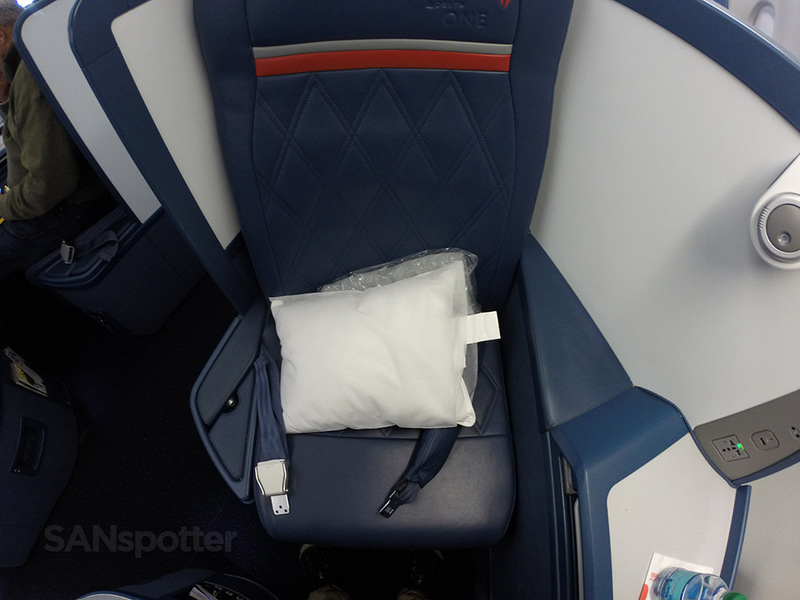 I guess that just goes to show how little I know about the Delta business class product. 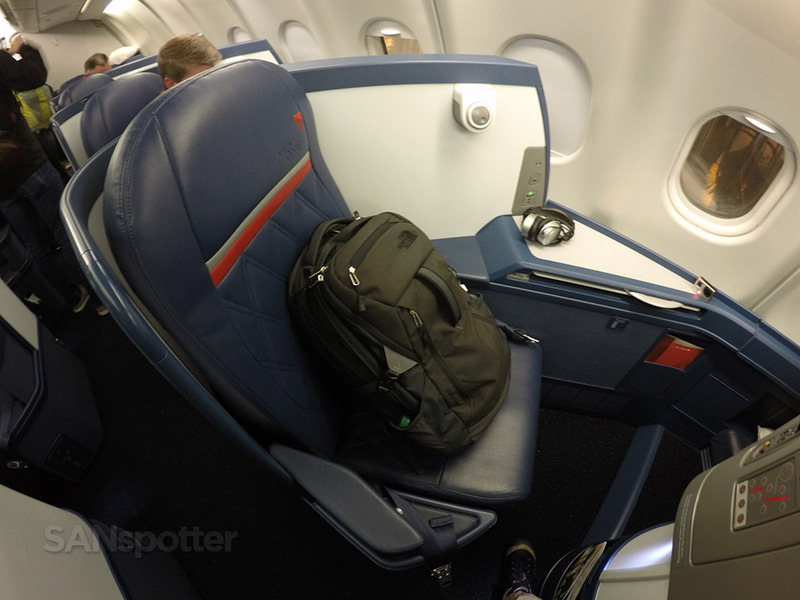 I’m not complaining though – Delta One is very nice. 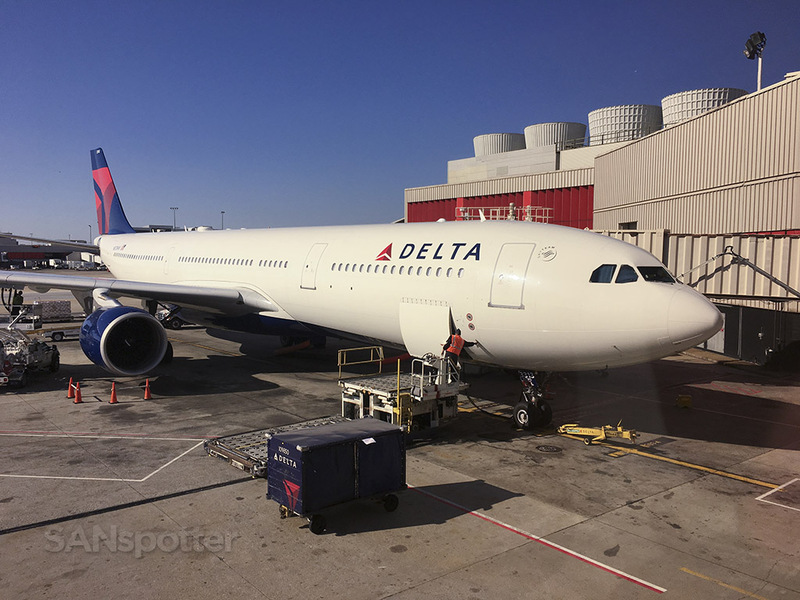 Delta One A330-300 seat 6A – mine for this flight to Seattle. 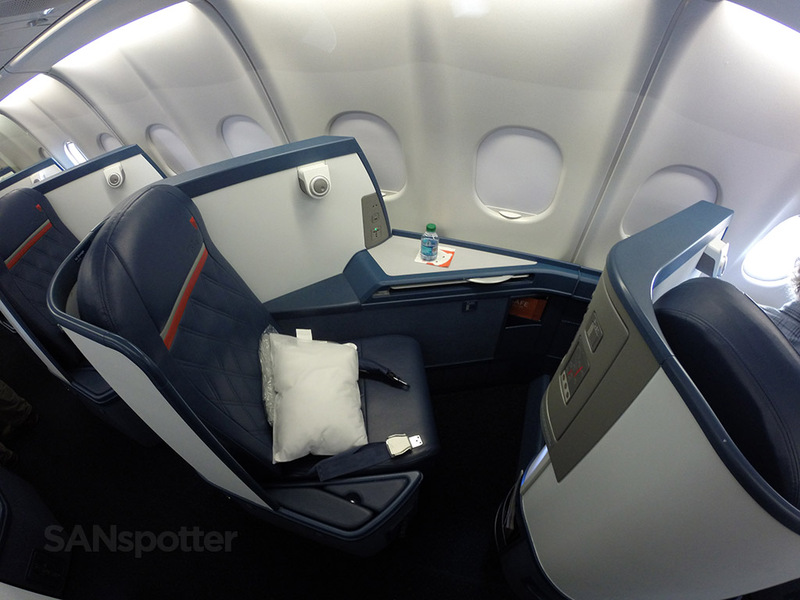 Delta One A330-300 seat. I like how cocoon-like they are. Very private. Delta One A330-300 seat. The big wings are a little awkward at first, but they are necessary to make things as private as possible. The seat itself is actually very firm, but personally I don’t mind so much. It felt good to me. 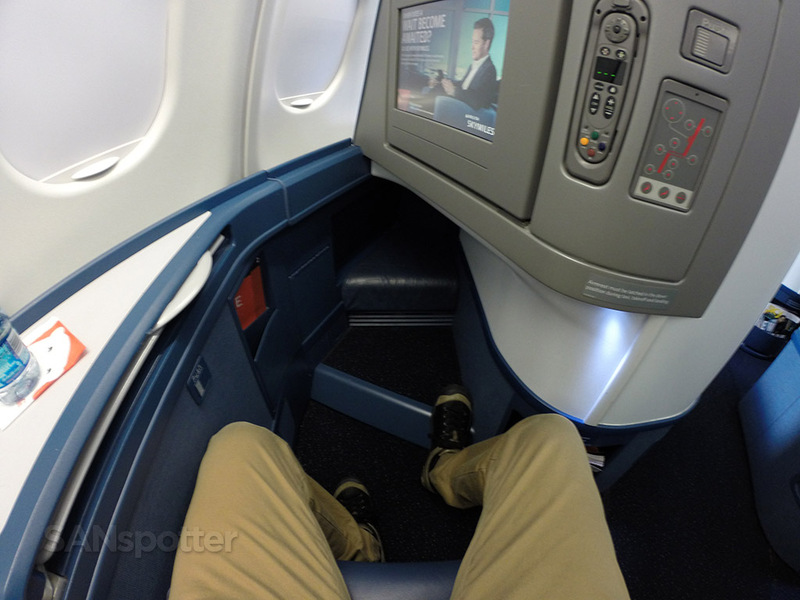 Leg room in these seats is quite good, though the footwell is a bit narrow. 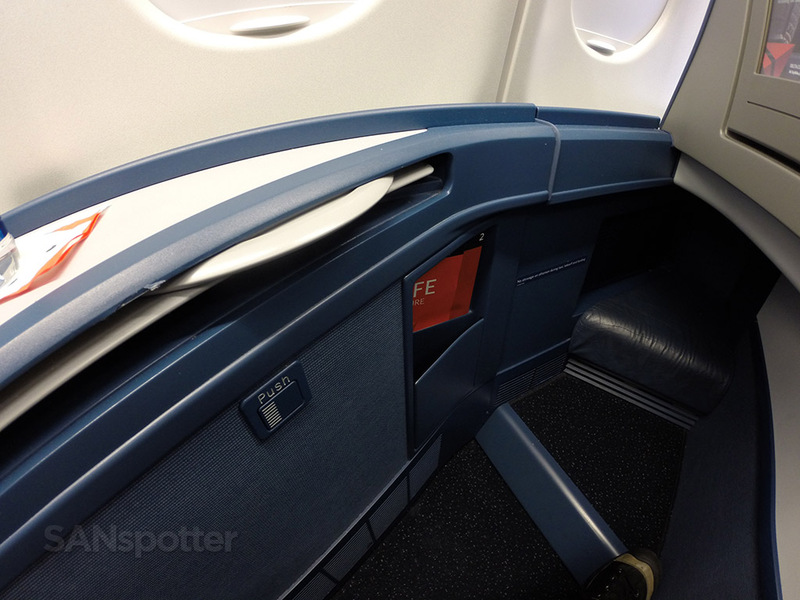 Here’s a wider angle pic of the leg room. Lots of little nooks and crannies to put your stuff in – the shelf space is pretty generous as well. 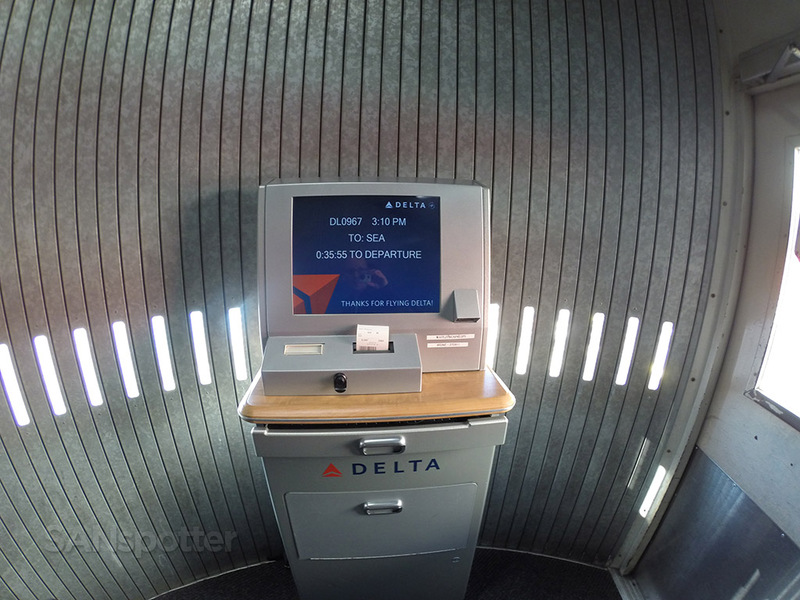 The entertainment system controls are a bit “in your face” but it’s actually not so bad – unless you get easily claustrophobic. 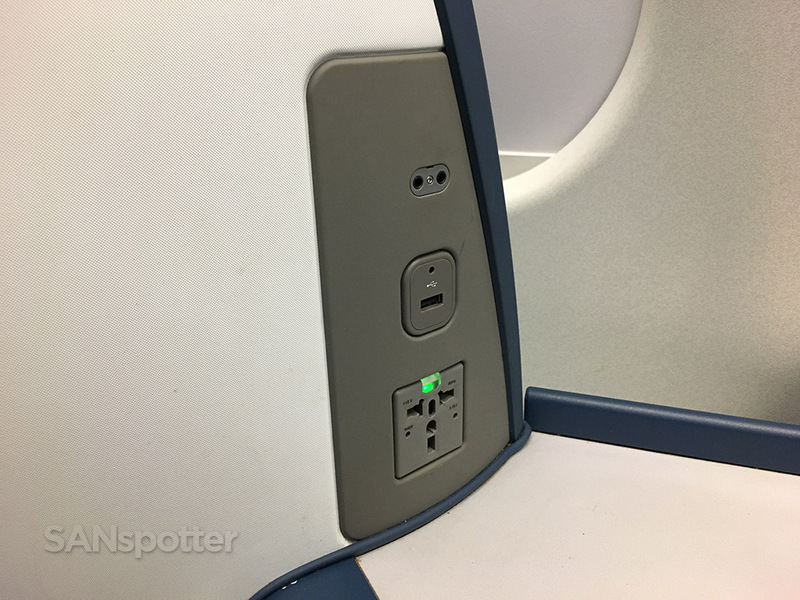 Electrical outlet, USB and audio ports are in a very convenient location. 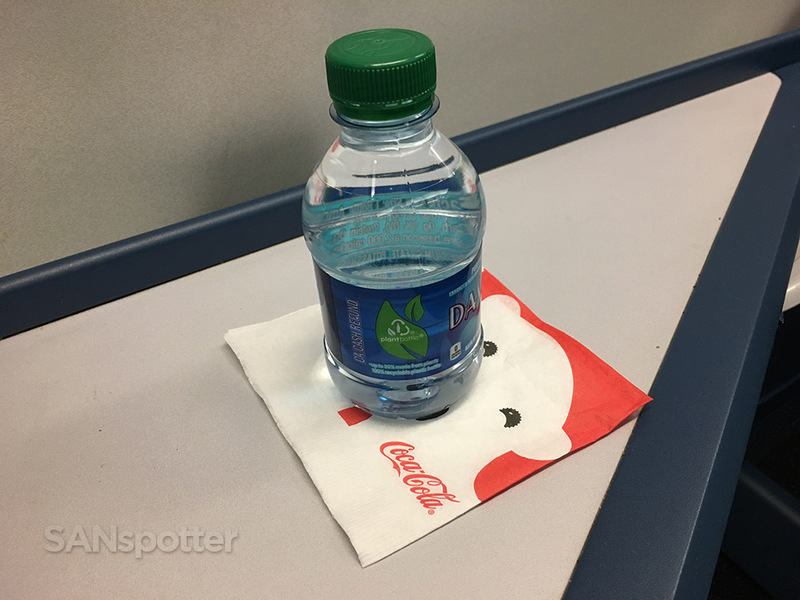 Complimentary bottled water at every seat. 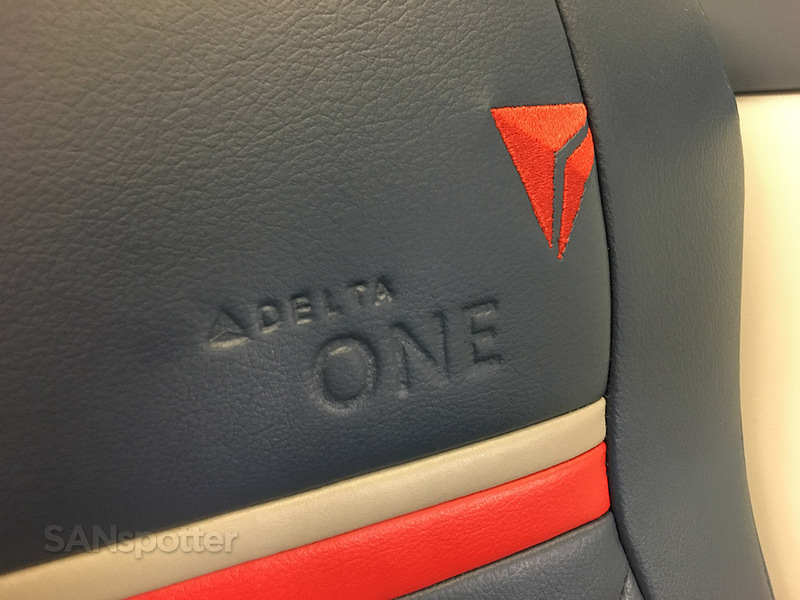 And of course, the Delta One logo in the seat back. 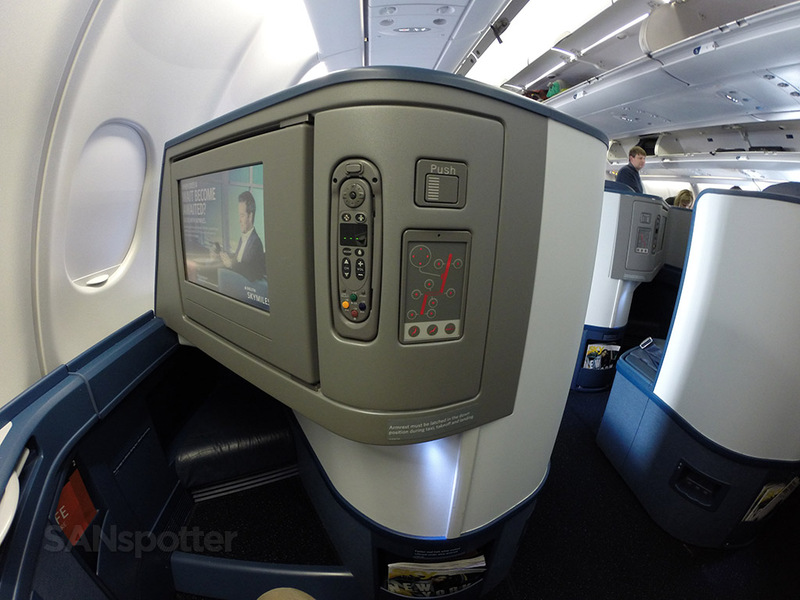 Delta One A330-300 cabin. All buttoned up and ready to go! 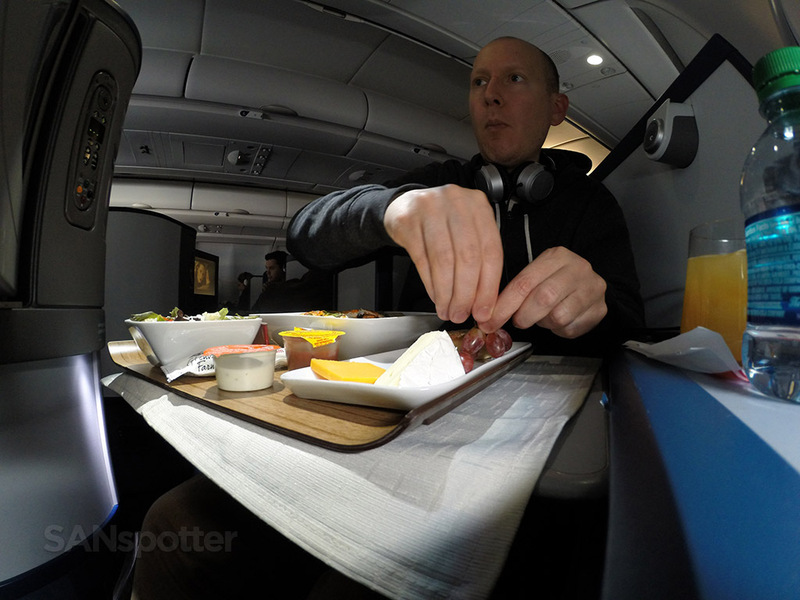 Noise cancelling headphones were distributed while we were still parked at the gate, and lunch orders soon followed. 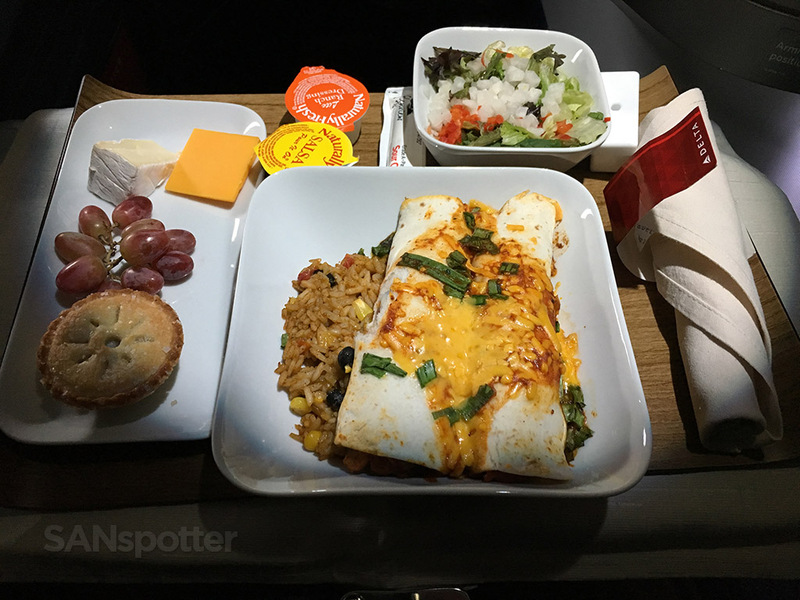 The choices today were a chicken salad or a chicken enchilada, and based on how many other passengers opted for the salad, I started to wonder if my preference for the enchilada was a bad one. I guess I’ll find out soon! 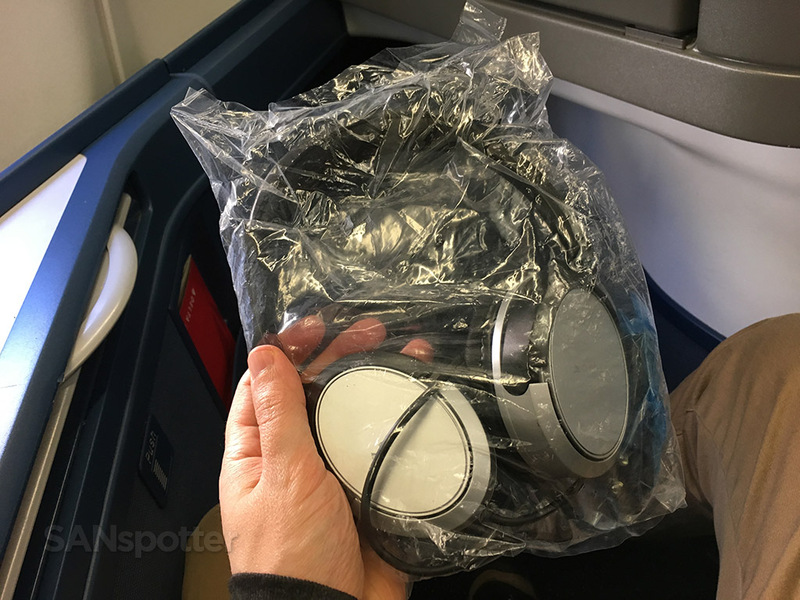 Complimentary Delta One noise-cancelleling headphones. 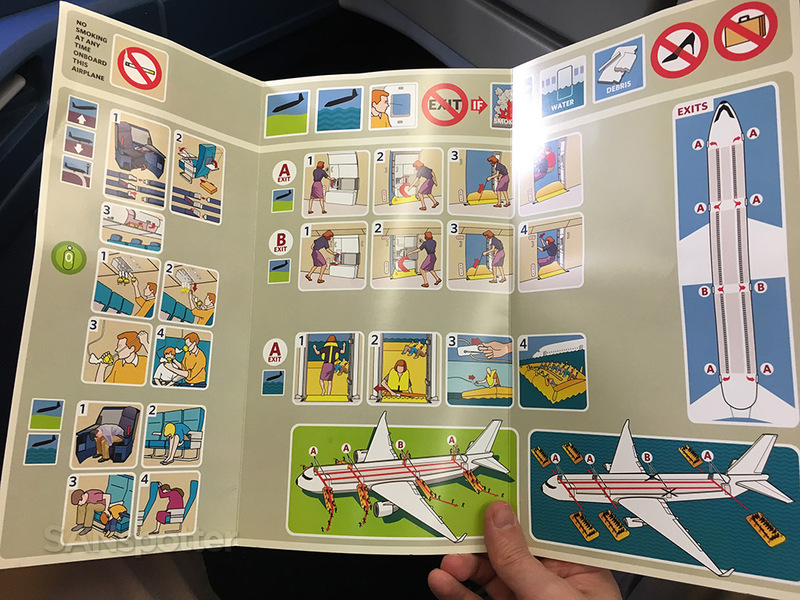 Just as I like to do with every new aircraft type that I fly, let’s check out the safety card. 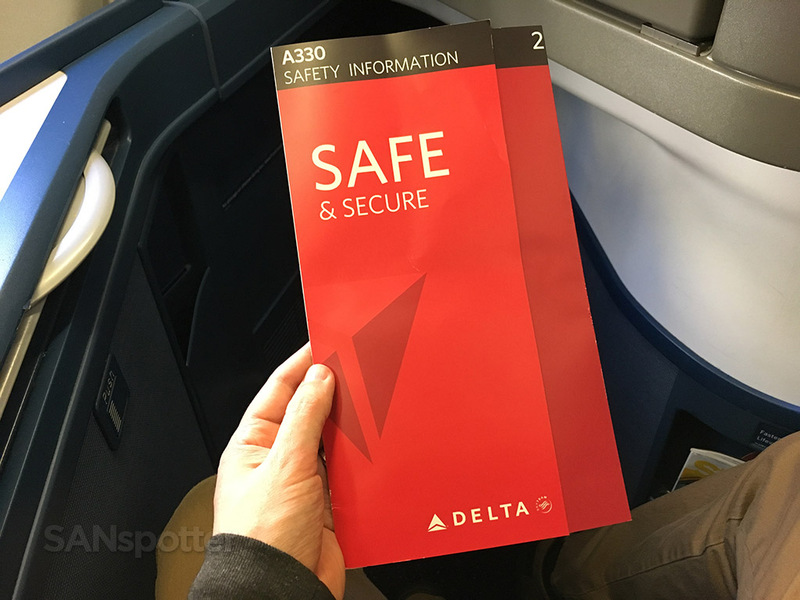 Delta A330-300 safety card inner cover. 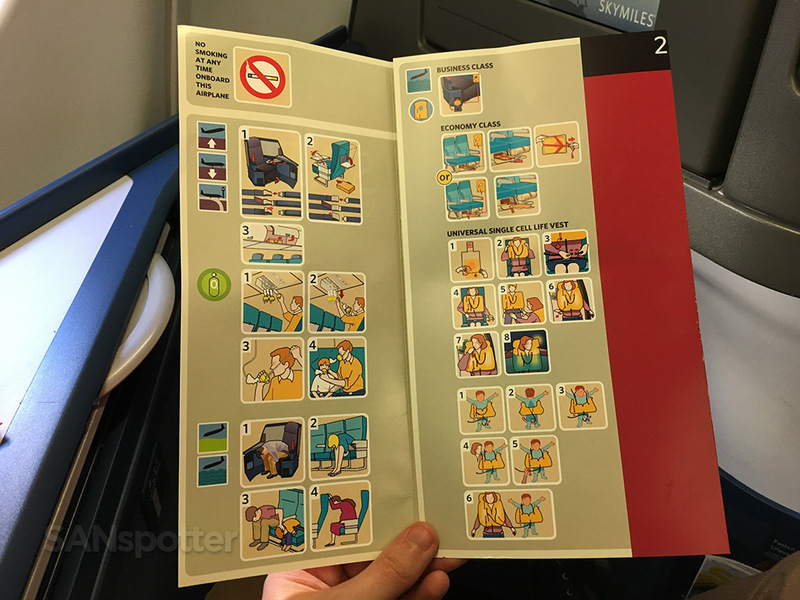 Delta A330-300 safety card interior. 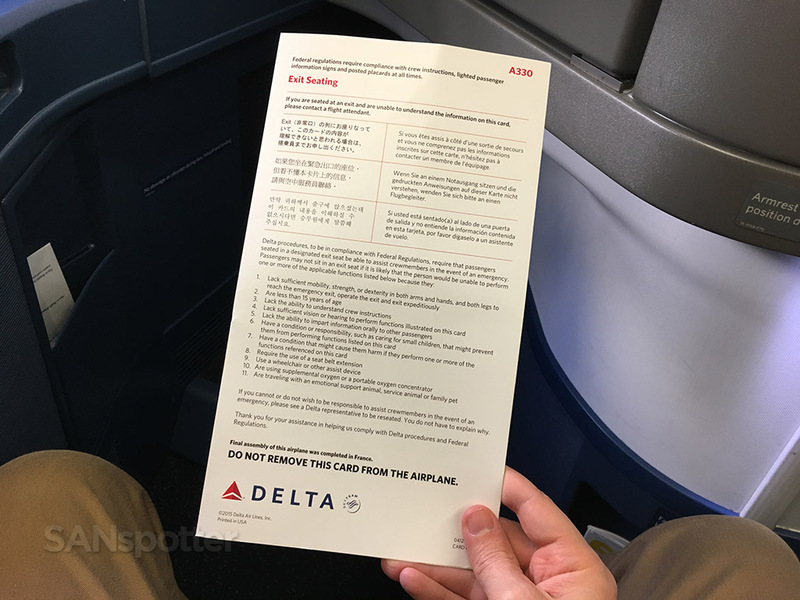 Delta A330-300 safety card rear cover. Let’s go let’s go let’s go let’s go let’s go…please no more delays! 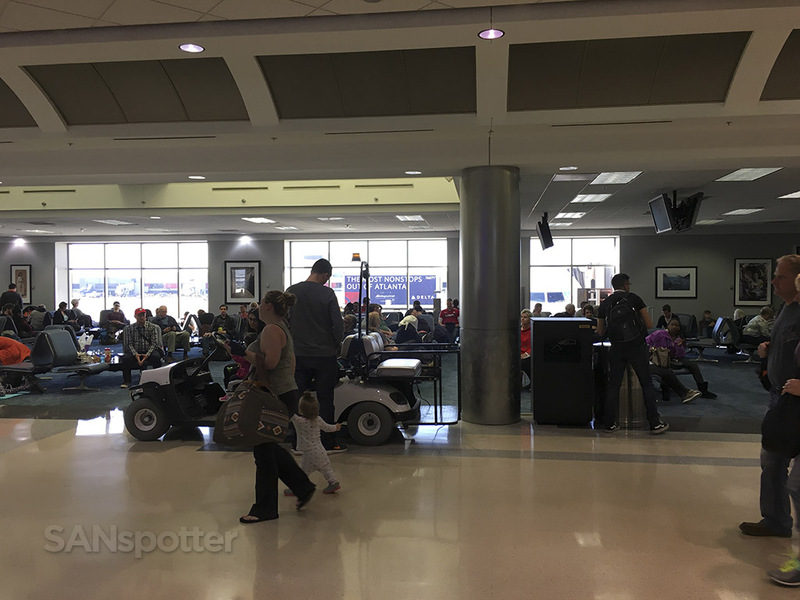 My mood was so jaded at this point that all I could think about was something going wrong and having to go back to the gate. 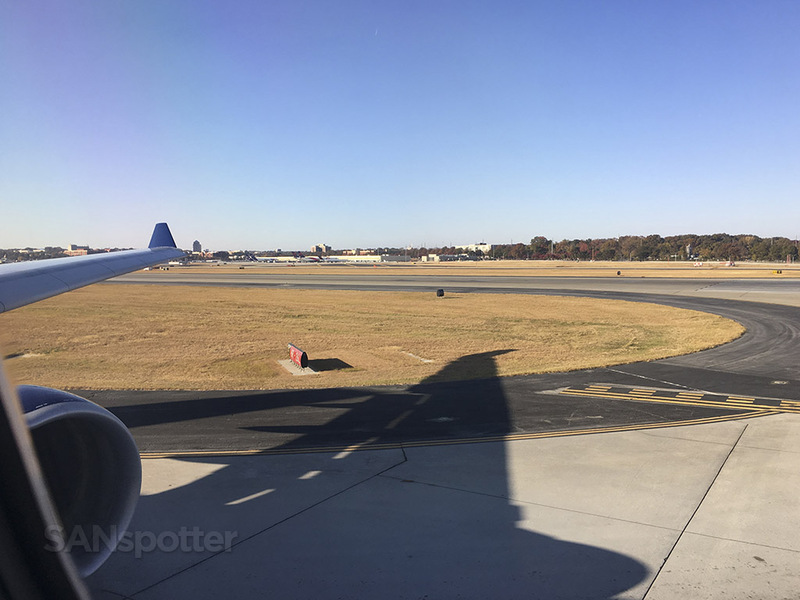 Nice golden landscape this time of year here at ATL! 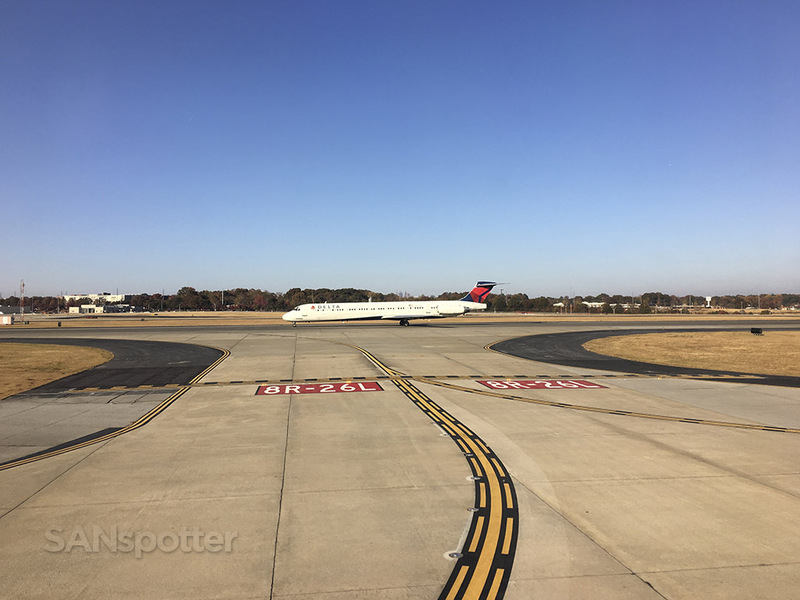 Just about to make the turn onto the active runway. 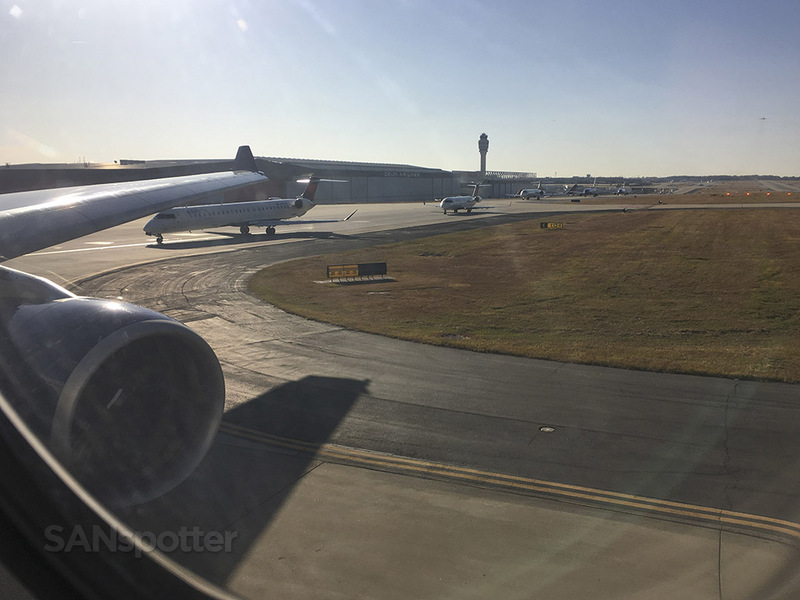 Looks like there is a decent lineup of aircraft behind us. 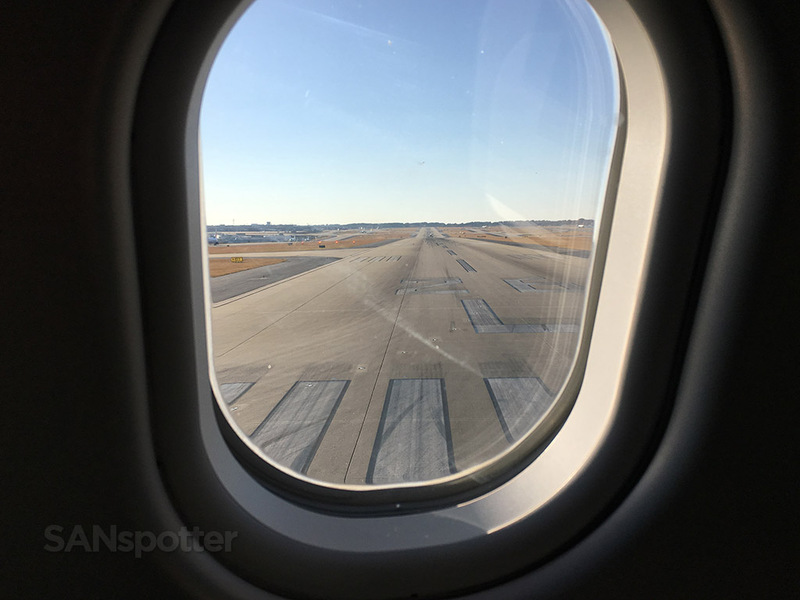 Looking straight down runway 26. 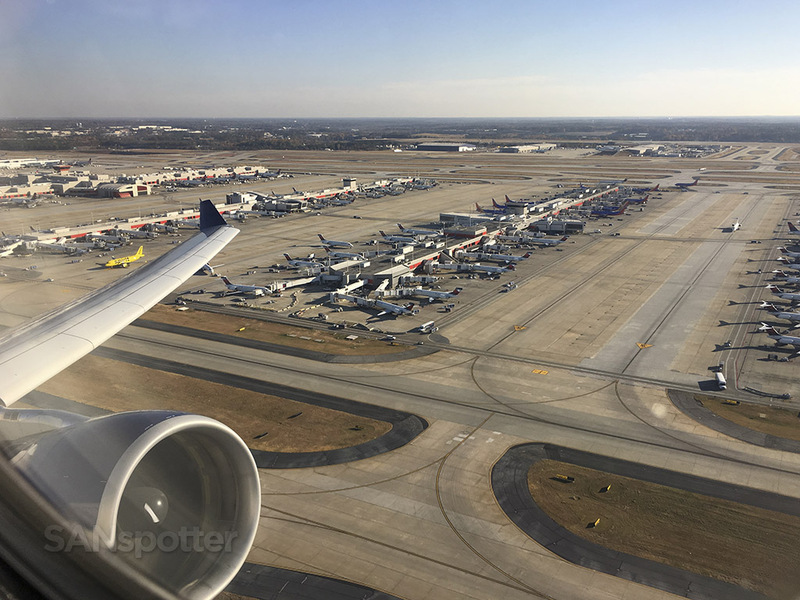 Pretty decent overview of ATL as we depart. That’s me! Can you see me waving? Huge thanks to @bizarrebananablast on Instagram for snapping this gorgeous pic! After such a long and stressful day, it felt really great knowing that I was finally headed west and on my way to SEA. 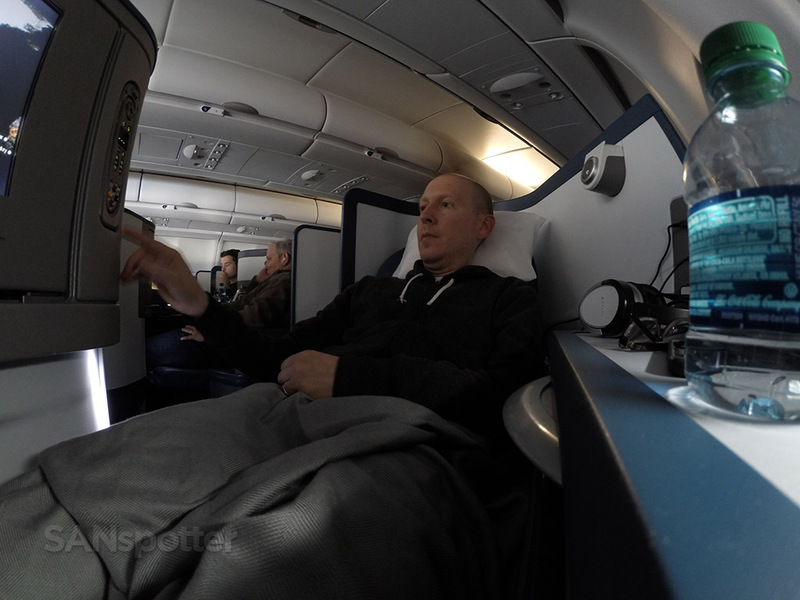 We’ve got a long journey ahead of us, but that’s not a bad thing – it’s pretty comfy up here in Delta One! 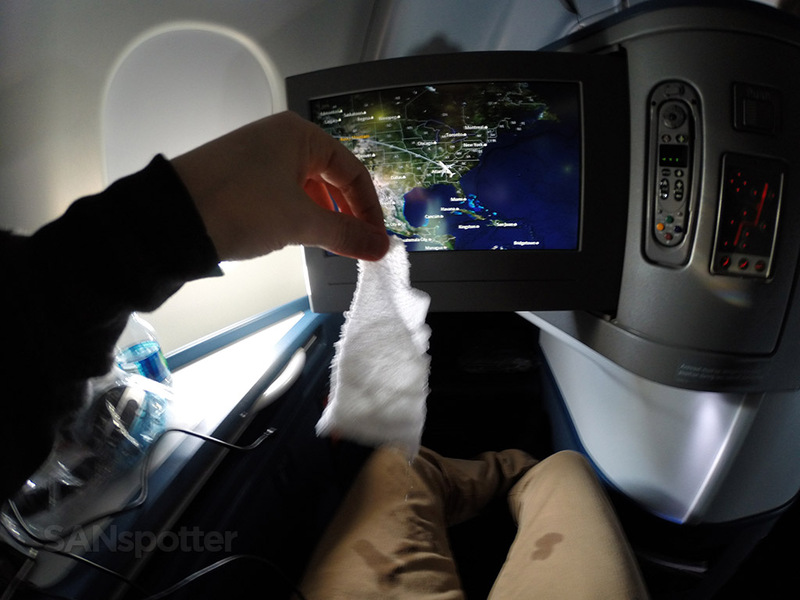 Hot towels were distributed immediately after departure, and it may have been the worst presentation of a hot towel I have ever experienced in my flying life. Not only was it as hot as molten lava, it was dripping wet and I ended up with burned hands and a wet lap to start this flight. 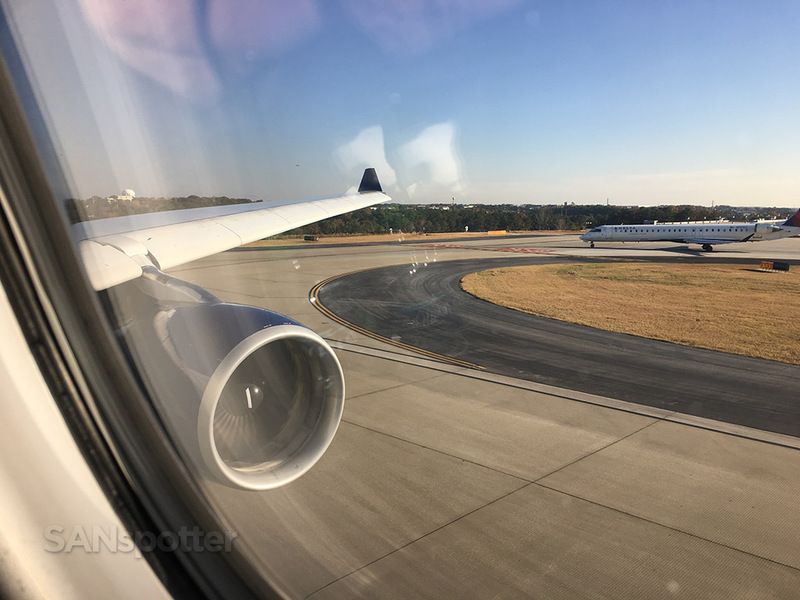 Not a good way to kick things off, and I wasted no time in scribbling that little nugget of data down in my notes so that I could include it in this trip report. 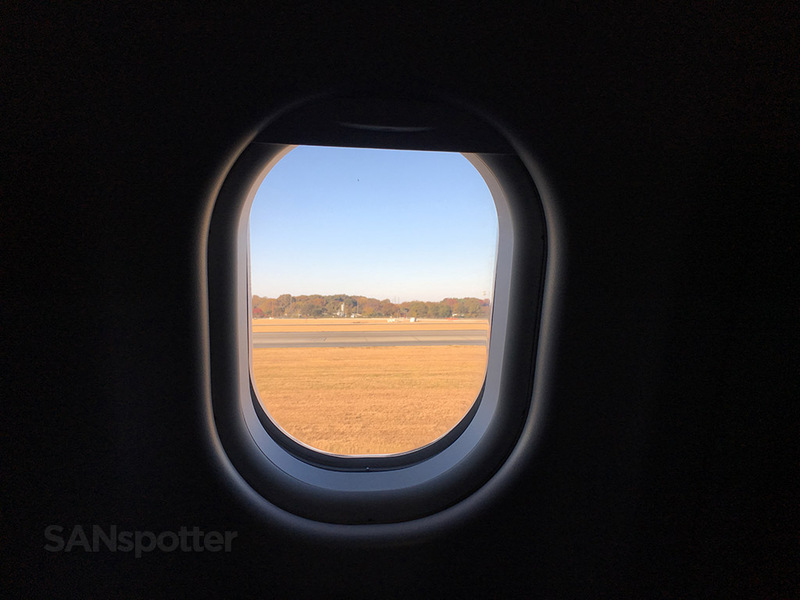 I feel like such an elitist snob when I do that, but hey – that’s what writing trip reports is all about. Just the facts! The hot towel that was as hot (and drippy) as molten lava. Check out the water spots on my pants! Surprisingly there were no snacks that came with the pre-meal beverage service (more good stuff to jot down in my notes), but they were quick with serving lunch so it didn’t really matter all that much. I was a bit nervous about my decision to go with the enchilada still, but thankfully those worries went away as soon as they presented me with the tray. I’ll go down on record as saying it was one of the most delicious airline meals I’ve had in a while – perhaps because my expectations were so low, but man that was good. The SANspotter beverages of choice: orange juice and water. This might not look all that appetizing, but I assure you it was one of the best airline meals I’ve had in a while. 2 episodes of Vice Principals on the video screen kept me busy while I ate. 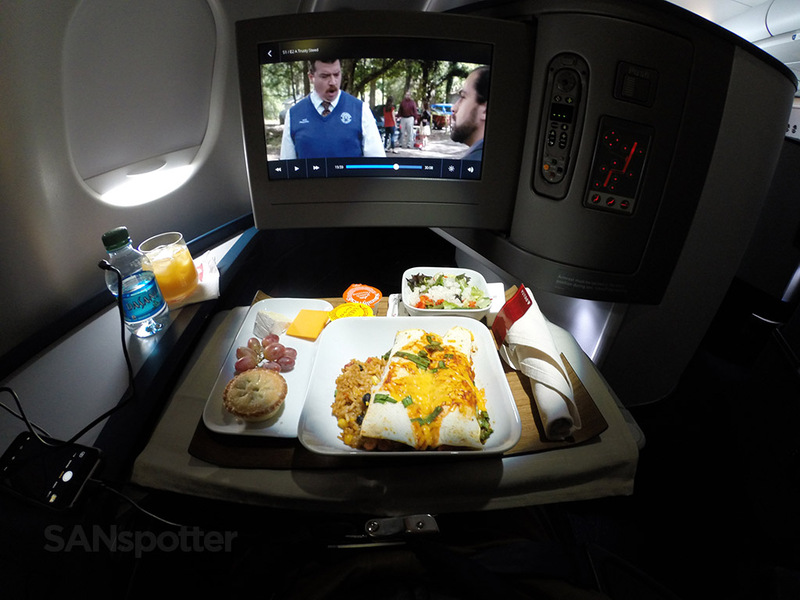 The Delta One in-flight dining experience. 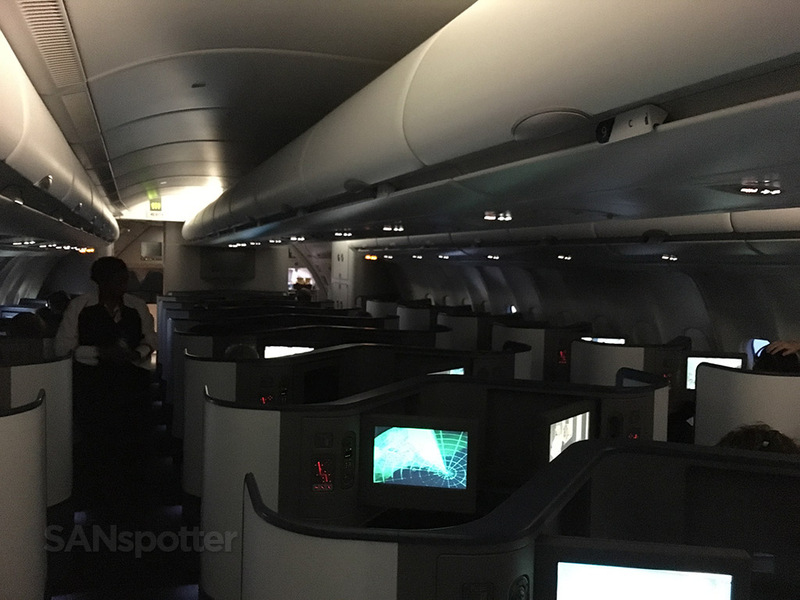 The cabin was pretty dark for most of the flight (even during the meal service), which is actually the way I like it. I wasted no time in putting the seat into the flat position and getting several hours of much-needed deep sleep after my meal tray was removed. 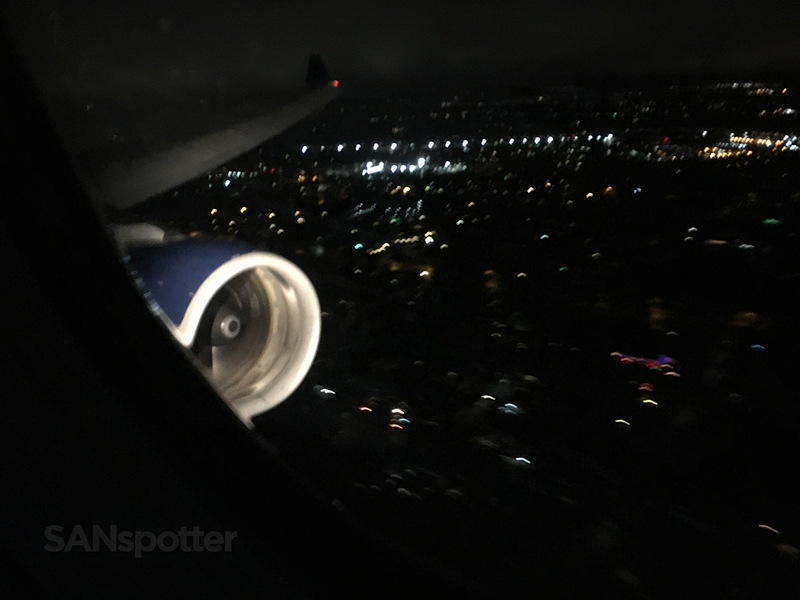 I can’t say that the sleep was the best I’ve ever had on an airplane, but it was good and I felt a lot better by the time I woke up. 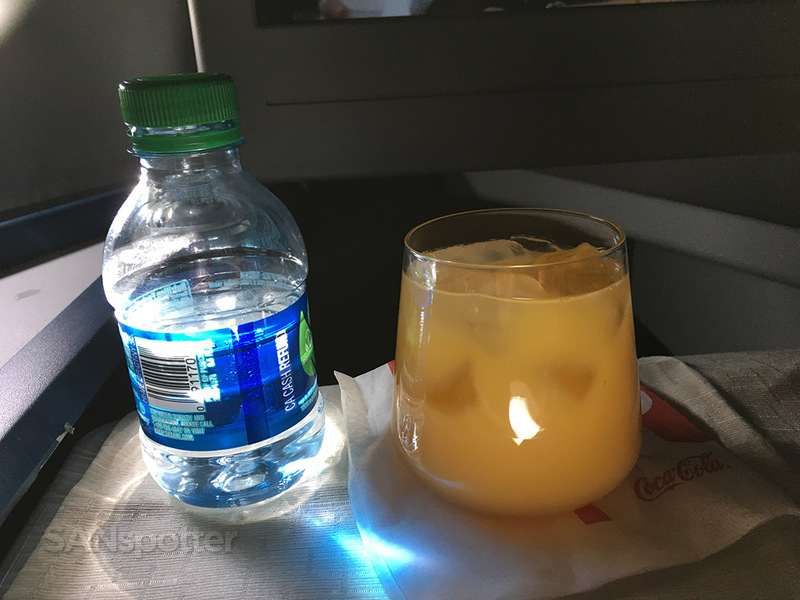 We had just over an hour of flying time remaining at that point, and the flight attendants came by with bottled water and the snack basket shortly thereafter. Putting the seat into a flat position – I’ve got sleep to catch up on! 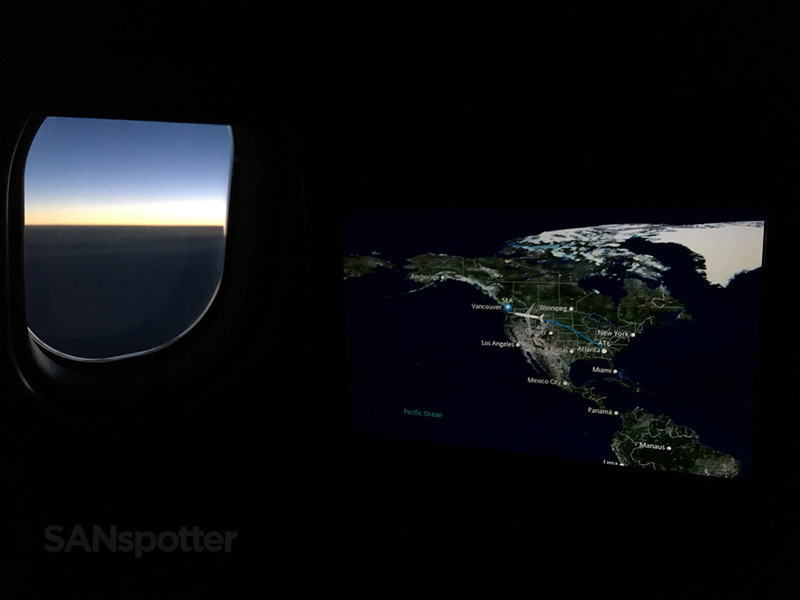 Chasing the sun all the way across the country. Bathroom time. 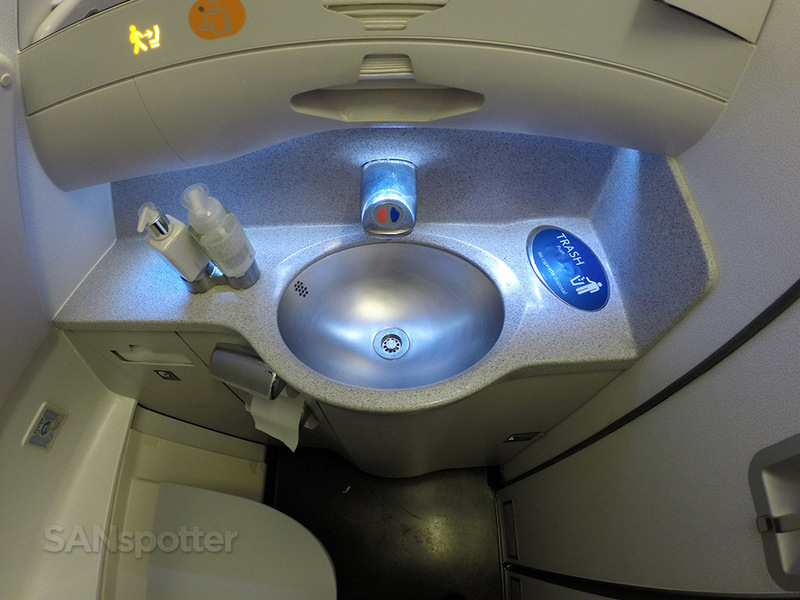 Nothing special about the Delta A330-300 business class lavatory. 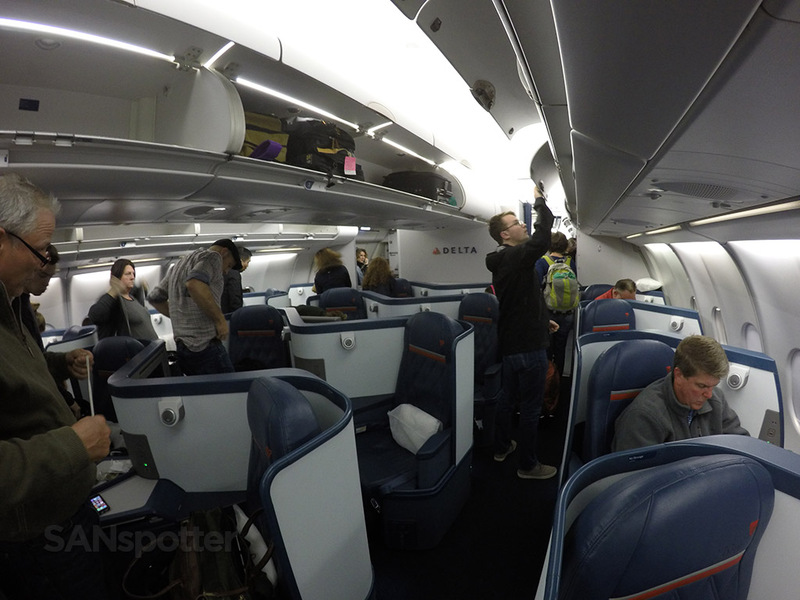 I’m not normally one to walk around in flight, but I had a quick stretch during a bathroom break which allowed me to get this pic of the entire Delta One cabin. The sun is almost gone now. Almost there. 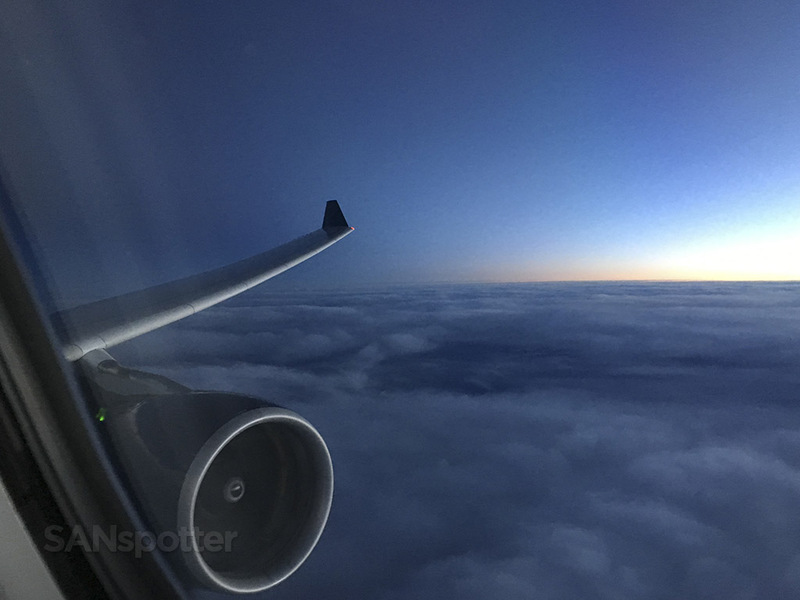 Flying into the sunset is surely one of my favorite things in life! 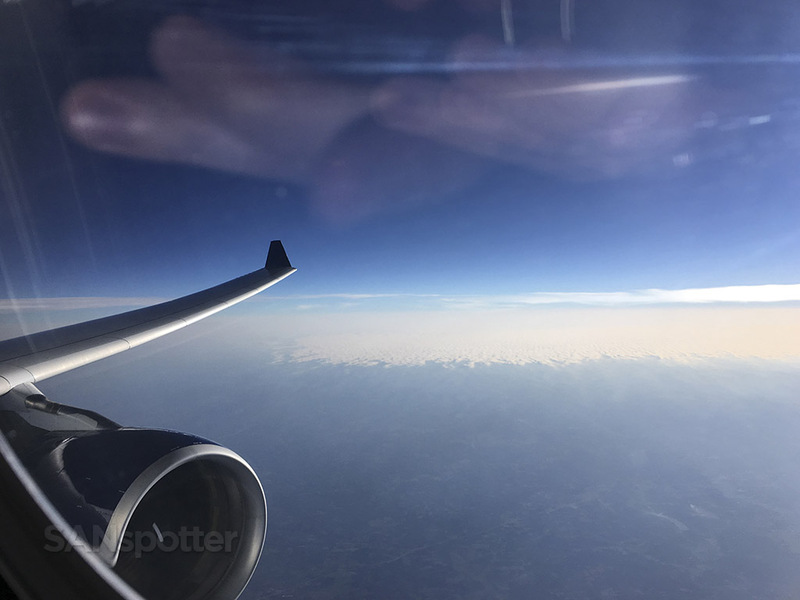 I was a bit surprised that the flight attendants were still offering coffee well into the approach to SEA, as normally they are quick to get the cabin cleared and prepped for landing as soon as possible. Props to this crew for keeping things a bit more casual and relaxed. Landing lights are on but I’m not seeing very much down there yet. There we go. Almost there! 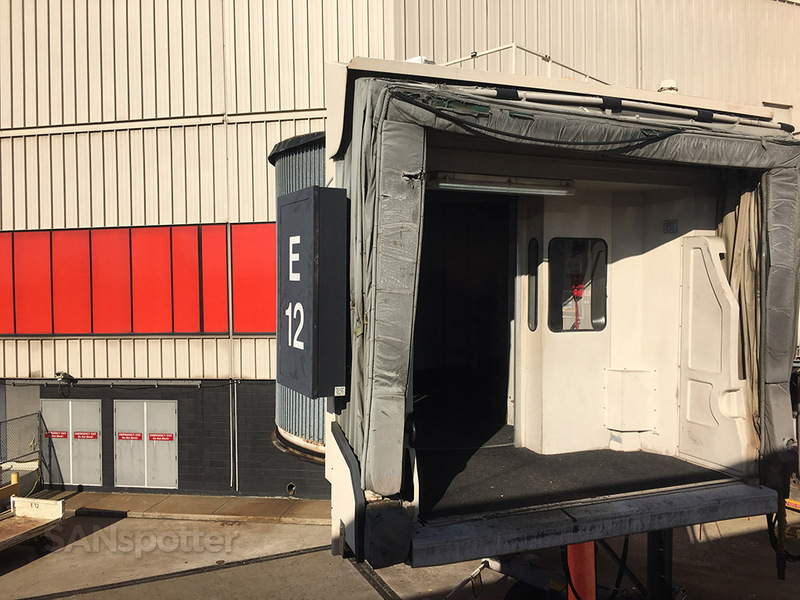 Delta One cabin just after arrival. 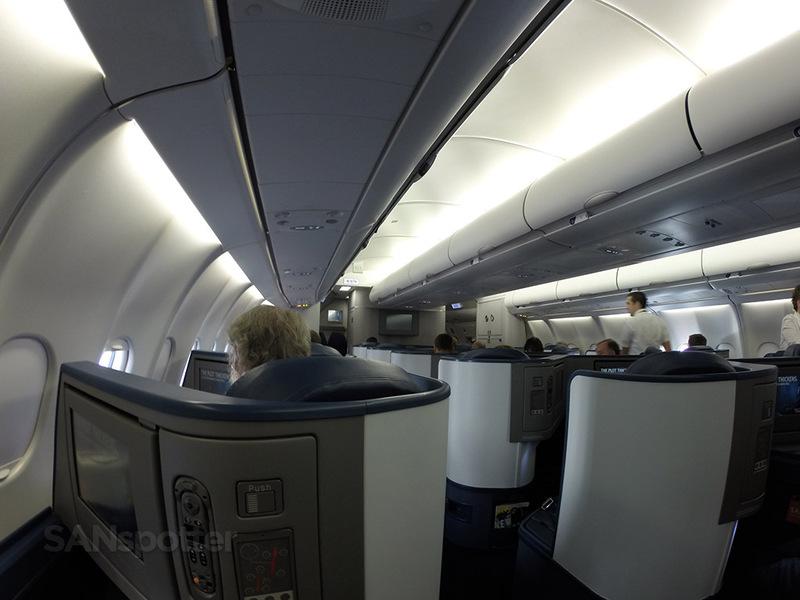 Seat 6A on the A330-300 is a mighty fine one, and I highly recommend it! 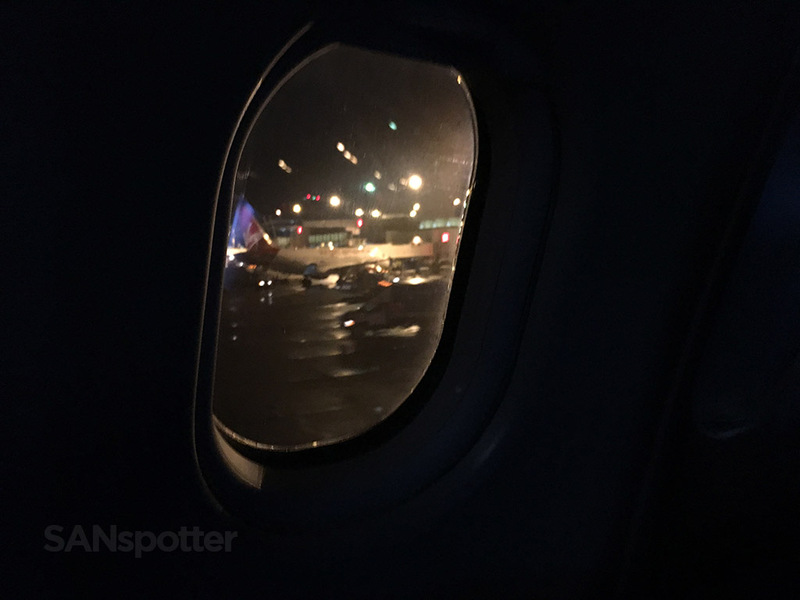 It was a rainy night in Seattle that evening, and while it felt good to have the longest leg of the day complete, I wasn’t looking forward to the fact that I still had a two-hour layover and a 2.5 hour flight home to San Diego to contend with. I just wanted to be at home!